TOMORROW ,you will participate in SAT School Day. The test will take place in the Thomas Building. Please refer to the room assignment list, which is posted in the Thomas and Anderson buildings, for your test room. Testing begins promptly at 8am. If you bring your cell phone to school you will need to check it in with Eric, and he will place it in a secure location. All bookbags will also be secured. If you are NOT testing and you would typically have class in Thomas, your class will be relocated and that will be communicated to you today. Enjoy some short stacks for a tall cause at the Sound School’s Pancake Breakfast Saturday, April 27th from 7:30-11:00. Hosted by the Senior Ocean Engineering Class, you will be served an “all you can eat” breakfast in the Thomas Building for just $7 per person! This is also the same day as the placement test, so if you’re bringing a sibling or volunteering, come on down and enjoy a well rounded meal! You can find more information on the Sound School Website, or from flyers posted in all five buildings! Salutations Sound School Sharpies! The Sound School Flag & Etiquette Committee will convene during G period on Wednesday, April 10 in Mr. Pickett’s room. Agenda items include: flags for the second flagpole, holiday and special occasion flag days, and a reading from Chapman’s Piloting & Seamanship. Don’t miss out on all the excitement; but, do get a pass from Mr. Pickett before the meeting. Reminder to all students who signed up for this Spring’s open water dive certification course. Your class begins this Wednesday at 2:30 in the library for a classroom session. All members of the class must attend. 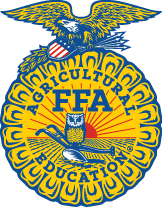 Any student planning to attend the National FFA Convention October of 2019: Please stop by Emerson 112 at the beginning of G period on Tuesday or Wednesday! It will be brief, see Pebbles for a pass. Tuesday will have an environmental education workshop with Cori from the New Haven Land Trust – Julie’s college prep workshop WILL NOT be running this week. Wednesday will have a field trip to City Climb – an indoor rock climbing facility. Thursday will have an environmental education workshop with Cori, and a math session with Mr. Padro. All Students: The PAC Waterfront Festival T-shirt Design Contest has begun! You have until TOMORROW to submit your designs. Will yours be the one chosen for this year’s t-shirt? Forms are available in Foote and McNeil. This week we have two Citizen of the Week awards to announce. Our first winner is Destiny Matos. Luz Sanchez-Diaz nominated Destiny and Luz writes, "Destiny is always there for you and always gives you good advice. She’s very polite to everyone. She helps us when we need it, too!" Our second winner is Breanna Lugo. Kim Workinger nominated Breanna and writes, "Every single time we ask if there is anyone who can help out a classmates with a technical issue, she leaps out of her chair and helps. Heck, she helps the teachers out, too Always with a smile. Always patient with her fellow students!" Please see Randy for your certificates and congratulations to both Destiny and Breanna!